This comes from out of no where IMO. I had given up all hope that Kendall Small would consider Portland but according to @premierball the highly touted junior has Portland in his top 5, along with Oregon, San Deigo St, Gonzaga, and Creighton. DTLegend wrote: This comes from out of no where IMO. I had given up all hope that Kendall Small would consider Portland but according to @premierball the highly touted junior has Portland in his top 5, along with Oregon, San Deigo St, Gonzaga, and Creighton. I know what you're saying, but not sure if it's completely out of nowhere given some of the performances this team has this year. I consider it a nod to the current direction of the program. Small is an ESPN Top 60 prospect in the nation for the 2015 class. This is a big, big deal. DeanMurdoch wrote: I know what you're saying, but not sure if it's completely out of nowhere given some of the performances this team has this year. It's a nod to the current direction of the program. Pretty exciting. And surprising, considering we already have a 2015 PG who has committed. Regardless of the outcome, it helps our visibility to have "U Portland" listed as a finalist along with those other four schools. We’d heard the Coach Rev was driving through some bad weather in Utah and Idaho a couple of days ago, and now we're hearing shooting guard Malek Harwell, from Pocatello, Idaho has been offered a scholarship by UP. Harwell, a 6-4 junior, is pretty well known by a number of teams that have also made him scholarship offers (including USF and LMU) from his successes with the Utah Pump and Run AAU team. Utah Pump and Run is the team that former UP recruit and current USF signee Jared Stutzman has been playing for. 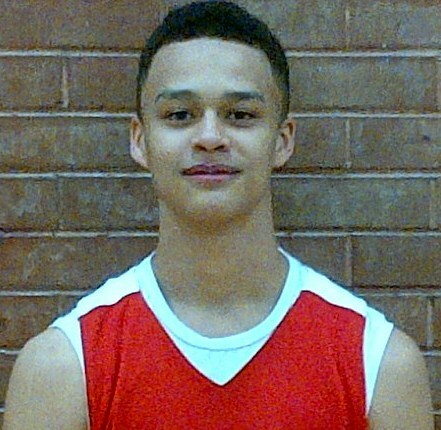 DoubleDipper wrote: We’d heard the Coach Rev was driving through some bad weather in Utah and Idaho a couple of days ago, and now we're hearing shooting guard Malek Harwell, from Pocatello, Idaho has been offered a scholarship by UP. Love it. Coaches working their tail off on that critical 2015 class. Harwell is up to nine offers according to Verbal Commits...and interestingly enough, his highlight film on there is of him throwing down a massive one-handed dunk against the Regina Cougars (that'd be a 16U club team) in a Vegas tourney. Down two with two seconds to go? No prob, just pull off a three-quarter court inbounds pass to Robert Franks and let him do the rest. DeanMurdoch wrote: Down two with two seconds to go? No prob, just pull off a three-quarter court inbounds pass to Robert Franks and let him do the rest. What doesn't really show in the video is the ball being dipped by the opponent just before Robert snagged it like a Seahawk wide receiver and put it up. Robert's basket forced the game into overtime (we know that feeling from the USF game) and the Evergreen Plainsmen rode the momentum through the overtime to advance to the 4A bi-district tournament game on Thursday. DoubleDipper wrote: I was there! If Robert Frank’s “shot” had not been the game tying or winning basket it probably wouldn’t have gone national like it has. Lost in the chaos at the end of regulation was the basket that made Frank’s basket memorable. Milliseconds before the horn sounded, ending the 3rd quarter, Evergreen senior David Martin made a half-court shot that brought the Plainsmen within two points of their opponent and set up the “shot” heard all 'round Vancouver and beyond. It was Martin’s only points in the game! Do you think Rev and Grier sat together? @JoshGershon wrote: San Diego and Portland watched Carlsbad (Calif.) La Costa Canyon's Brady Twombly, Travis Fuller and Tommy McCarthy tonight. DeanMurdoch wrote: Do you think Rev and Grier sat together? Probably. Pretty sure they didn't swap injury reports. Haley is a 6-6 SG from Burnaby and another product of that great DRIVE program in the Lower Mainland. Offers from Oregon State, Irvine, Seattle, and NMSU as well as the ones listed above. Haley's Burnaby South school finished in 5th place at the BC AAAA HS tournament last weekend...he was named a tourney second-team all-star. More Canadians is always a good thing! Haley just picked up an offer from Utah St.....I expect he'll have an offer from every state in the Lower 48 by the time he actually signs. Michael Oguine leads Chaminade to California Division III basketball title and picks up an offer from UP. Oquine, a 6-0/160 point guard also has an offer from Santa Clara. Based on his performance during the state playoffs, I think he can expect quite a few more. Interesting. Anyone ever heard of this Canarias Academy? 2015 SG Vinnie Safin (Rocklin, CA) is apparently in Portland this weekend... Perhaps visiting UP? With the 2014 class set, recruiting attention turns to the big 2015 class. Assuming that Jazz Johnson follows through with his commitment, there at 5 spots left. As I've said elsewhere, I hope a couple of these are filled with transfers in order to re-balance the classes. UP extended a scholarship offer to Anthony Mathis from West Linn H.S. last fall, along with OSU. Verbal Commits now reports that Mathis has recently received offers from Washington and Gonzaga. 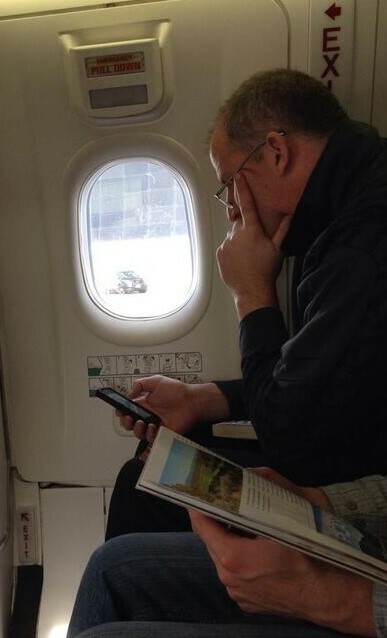 Rev's been tweeting lately on the joys of commercial air travel. I presume he's working on 2015 prospects. Anybody know where he's been going? up7587 wrote: Rev's been tweeting lately on the joys of commercial air travel. I presume he's working on 2015 prospects. Anybody know where he's been going? Haha, I would say just about everywhere, but this picture from today shows him on a Alaska Airlines Q400, so you can check where those aircraft fly to get some idea where he's been recently. Incidentally, women's Head Coach Sorenson was also aboard. They are going to Argentina? PurpleGeezer wrote: They are going to Argentina? AFTER her wedding this coming Saturday, Geez.....AFTER!! Well, if she sees any Ginobili clones, hopefully she'll clue Rev in.